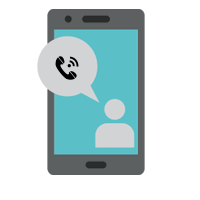 Android App for Call Recording allow you to record customer interaction within your contact centre and keep the data safe for as long as you want. It records voice content transparently and store them in cloud database. It requires no capex, long lead time, or no complex installation or hardware.Aria Telecom’s real-time dashboards help supervisors to monitor service quality with recorded data across all media streams. Android app for call recording gives you complete insight into the overall customer experience. It also capture the voice of the customer with multichannel customer feedback surveys. Aria telecom’s Cloud Call Recording system help reduce staff churn, increase first call closure and drive customer satisfaction.